More than a dozen vehicles are submerged as the quickly rising waters apparently caught officials off guard. 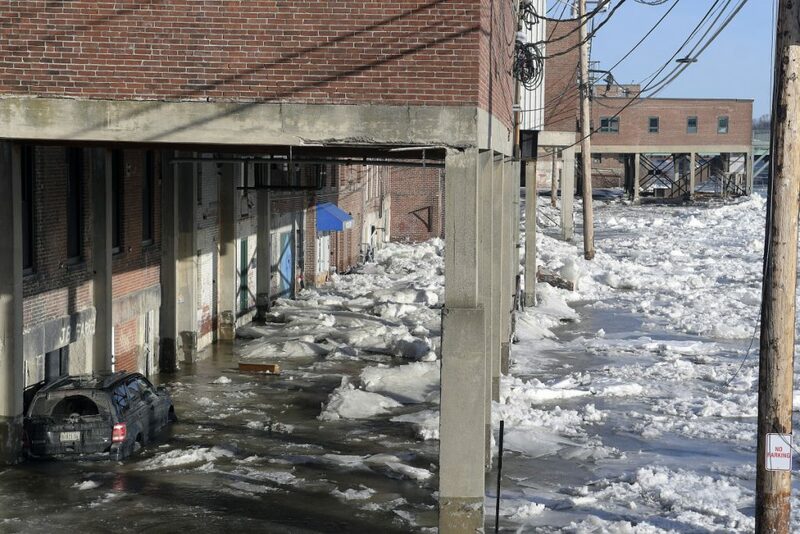 HALLOWELL — An unexpected ice jam overnight Saturday caused severe flooding that damaged several downtown Hallowell hot spots and destroyed nearly 20 vehicles on Wharf Street following a thaw that brought heavy rain, then a return to winter cold. 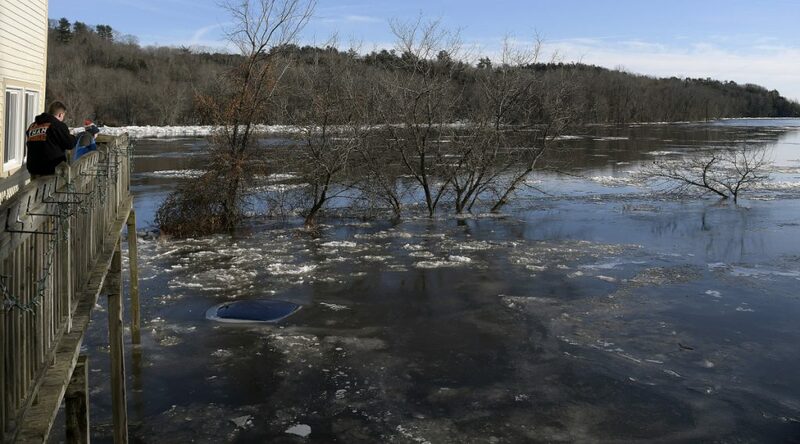 The seesaw weather pattern created ice dams in the Kennebec River, flooding out low-lying areas along the riverside in Augusta, Maine’s capital city. 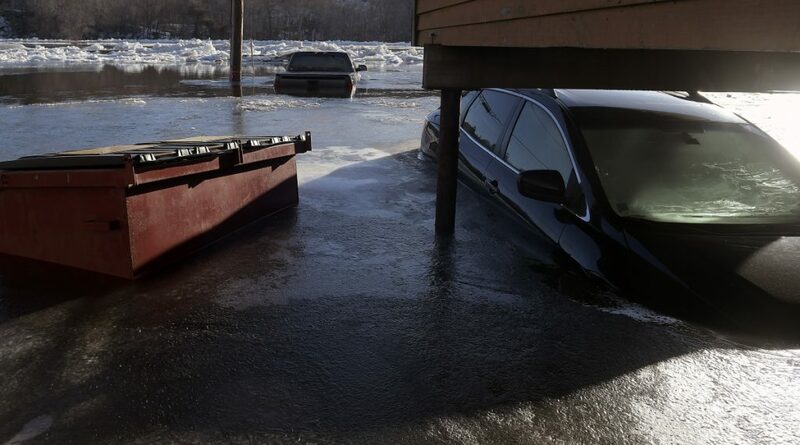 The downpours also caused flooding in urban areas, such as Waterville, where plugged storm drains led to severe flooding on city streets and damaged vehicles under water. 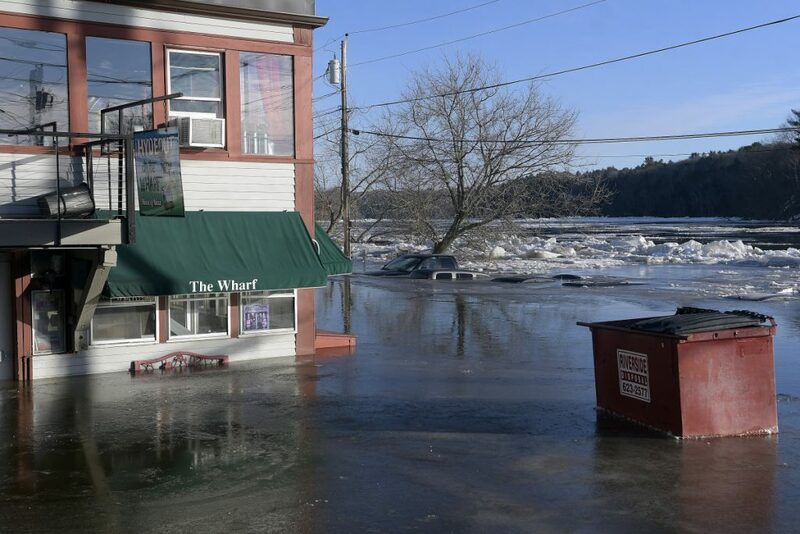 Chris Legro, a meteorologist with the National Weather Service in Gray, said the Kennebec River in Augusta surged over the 12-foot flood stage just before midnight Saturday, reaching 20 feet. “The river levels spiked pretty quickly,” Legro said. The river remained far above flood stage for about an hour before it receded to 16.1 feet by 11 a.m. Sunday. 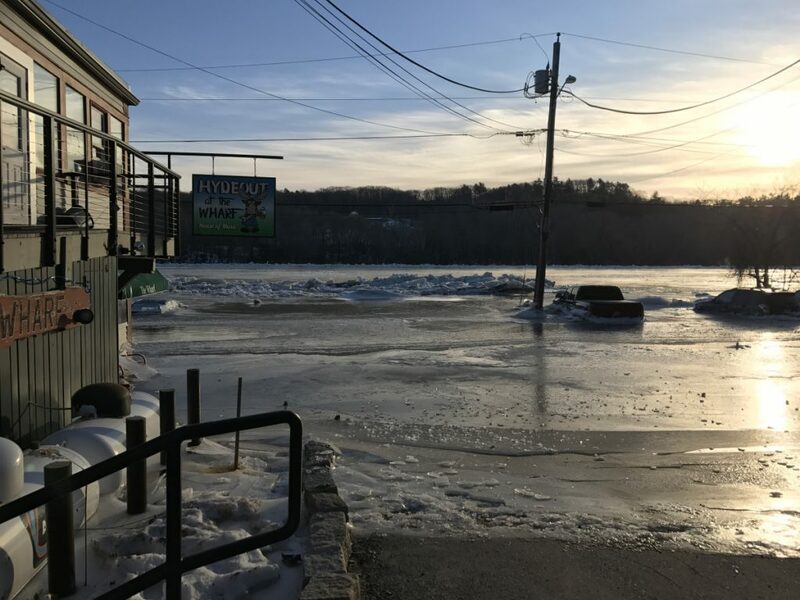 Legro said the Kennebec River in Augusta had receded even further Sunday afternoon and evening and was still above flood stage — about 15.3 feet by 8 p.m. The National Weather Service issued a flood warning Sunday night for the Kennebec River that will remain in effect through at least 7 a.m. Monday. “The good news is we are not forecasting any significant amount of precipitation over the next few days,” Legro said. 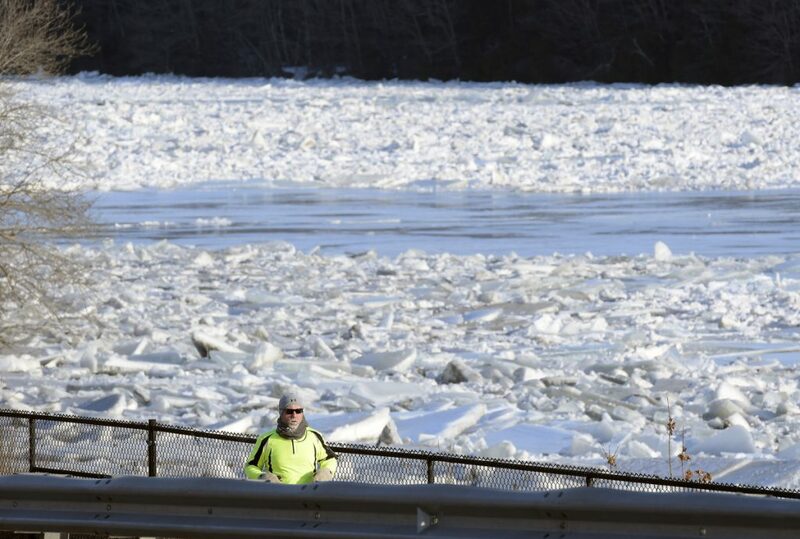 He said the Kennebec River should continue to recede and could return to normal water levels on Monday. Shaw said several basements on Front Street that are connected to upper-level businesses on Water Street flooded quickly. 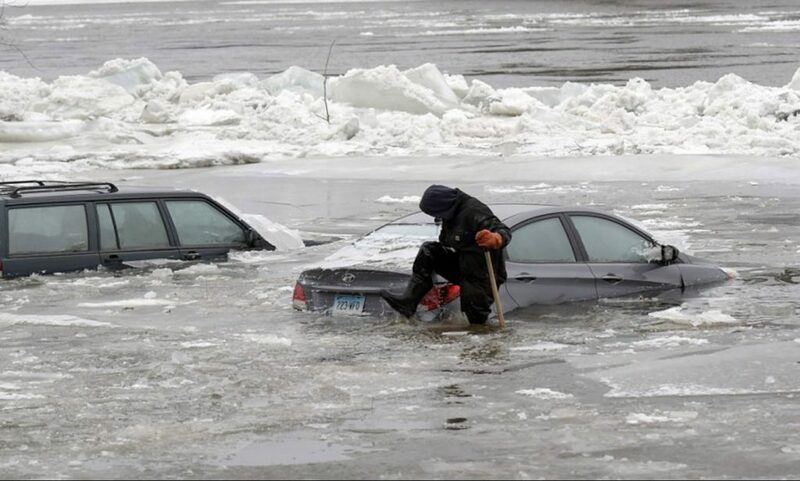 A couple of cars were submerged by water and ice. Shaw said Augusta public works crews were expected to spend most of the night removing the ice blocks that were on Front Street. 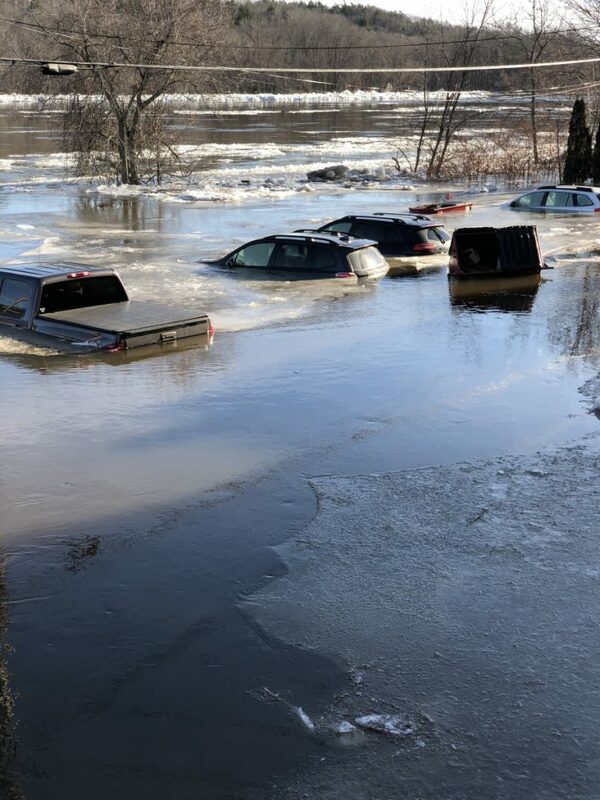 Hallowell Fire Chief Jim Owens estimated that between 15 and 20 vehicles were either completely submerged or had become encased in ice when the Kennebec River overflowed its banks. Owens said 24 businesses suffered damage from the flooding, with many of them seeing several feet of water in their basements. “I’ve never seen anything like this,” Owens said. 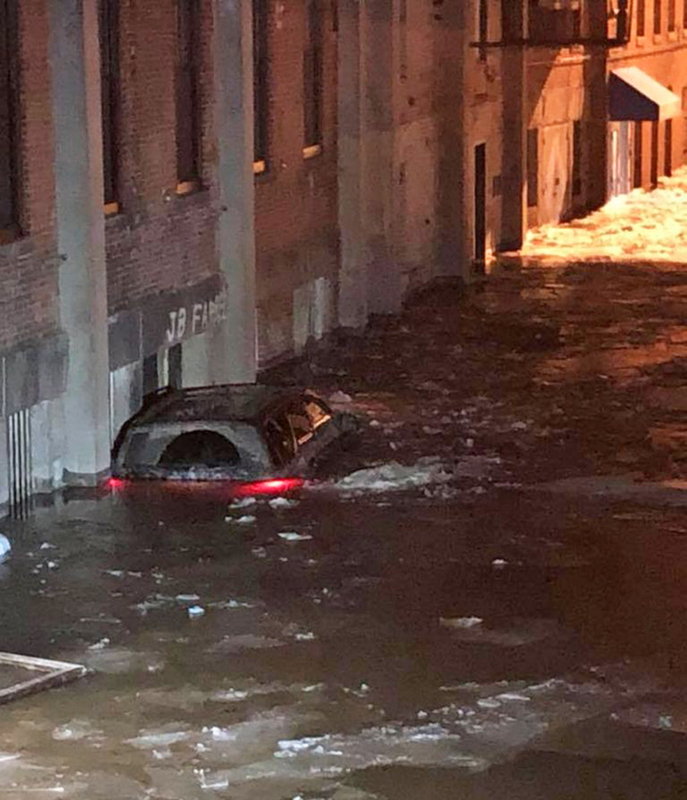 By late Sunday morning, business owners were downtown assessing the damage and vehicle owners were wondering when they’d get their vehicles out of the ice. Curious residents and passers-by were taking pictures and video of the surreal scene, despite a temperature around 15 degrees. “I’ve been here 18 years and haven’t seen anything like this,” said Councilor Michael Frett. 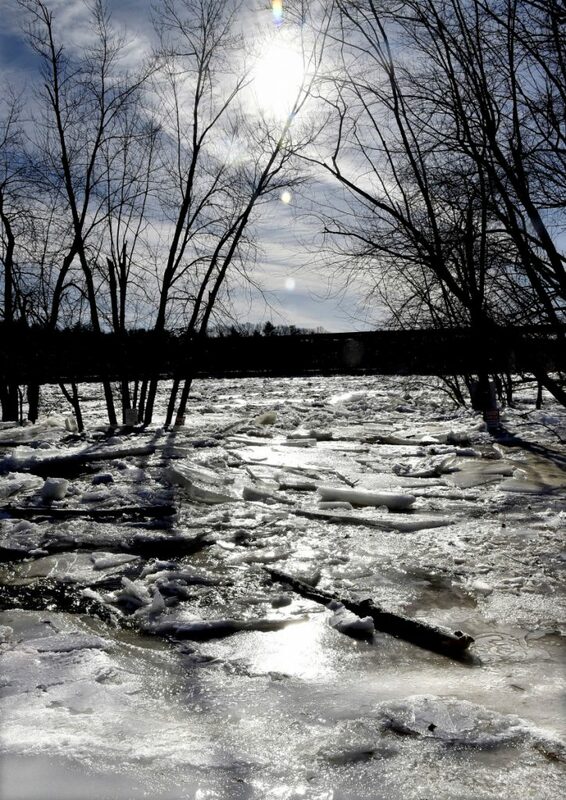 Kennebec County Emergency Management director Sean Goodwin said an alert went out Friday warning of the potential for flooding, but he said there’s no way to predict an ice jam. He said the best advice he could give people is to understand and recognize where they park their vehicles. Chris Vallee, co-owner of the Quarry Tap Room, said there was no water in the restaurant as of 2 a.m. Sunday, but by 5 a.m., there was 3 feet of water in the basement and 100 percent of their product was gone. “We’ve lost all our beer, liquor and food and we’ll probably have to be closed for a week,” Vallee said. The Quarry was closed for business Sunday and will likely be for at least the next few days, Vallee said. Employees and family were in the restaurant Sunday afternoon watching football and having pizza – and turning away people who came in looking for something to eat and drink. Across the street at the Liberal Cup, there was a 30-minute wait for a table and the bar area was crowded. Owner Geoff Houghton said there were “accidentally” doing good business for a Sunday afternoon in the middle of winter. 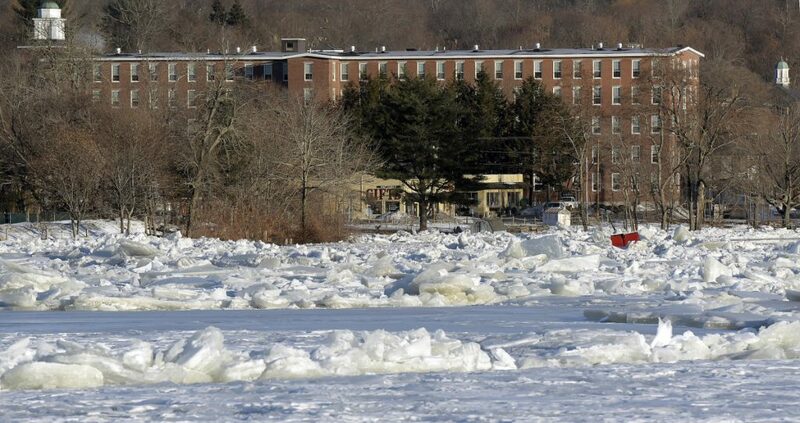 There was a significant ice jam several hundreds of yards down river from the Quarry, but the U.S. Coast Guard’s ice breaker cannot make it to Hallowell because it cannot fit under the bridge in Gardiner. Someone asked Goodwin if the Coast Guard would use explosives to blow the ice, but Goodwin said that’s not a good idea. The Hydeout at the Wharf, which sits below all the other businesses on Water Street and is close to level with the river, had water halfway up the building and unknown damage to the interior. 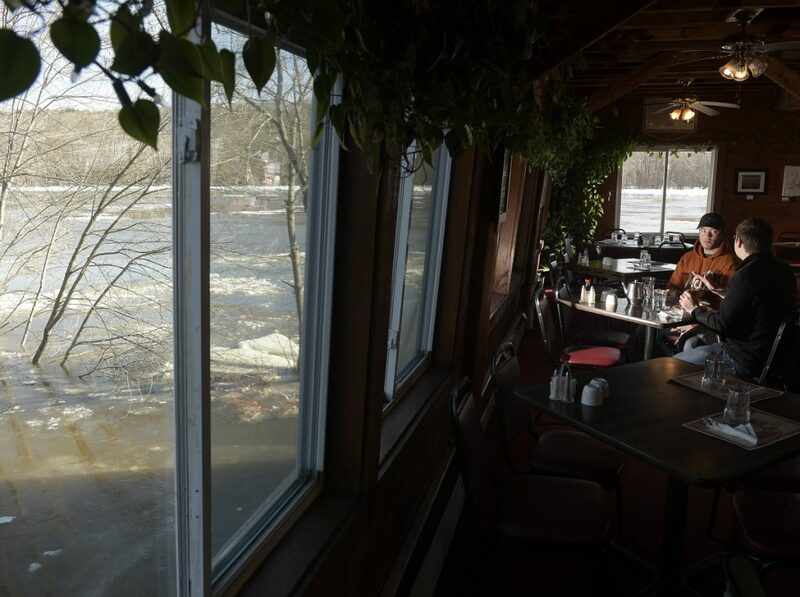 Owner Wayne Hyde said he heard the river open around midnight with a loud crack and rumble, but people were saying that if the river is moving, the bar would be okay. 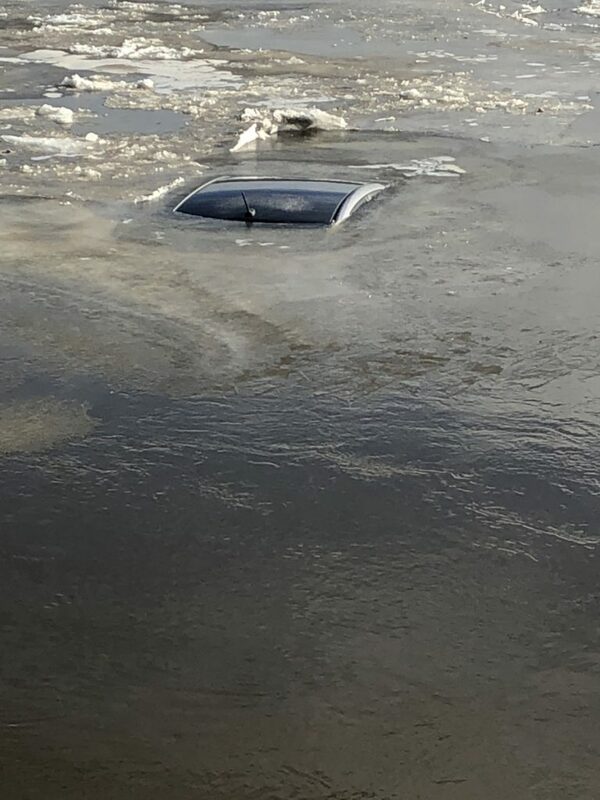 “Then the water must’ve come up about 8 feet in a few minutes,” he said as he pointed to a dumpster encased in ice that had floated down from the Quarry and to several of the submerged vehicles, including an SUV with lights on and its rear wiper moving. Andrew Terlesky is one of the unlucky who have a vehicle on Wharf Street. He actually has three — his own, a pickup truck owned by a friend and his girlfriend’s Hyundai, which he thinks is the one in the ice with only its antennae visible. “What am I supposed to do?” he said. Terlesky called a towing company, and three different towing vehicles came down to the survey the scene, but one driver said until the water recedes, there’s nothing they could do. According to the National Weather Service in Gray, the forecast Sunday night in Hallowell called for temperatures reaching 2 degrees below zero, and there isn’t a day over freezing until Saturday. 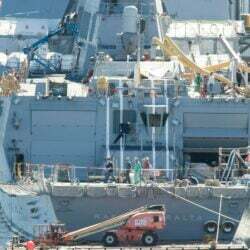 It may get worse before it gets better, Goodwin said. Vallee said in years past, Police Chief Eric Nason would go door-to-door telling business owners and residents to move their vehicles and be prepared, but that didn’t happen yesterday. 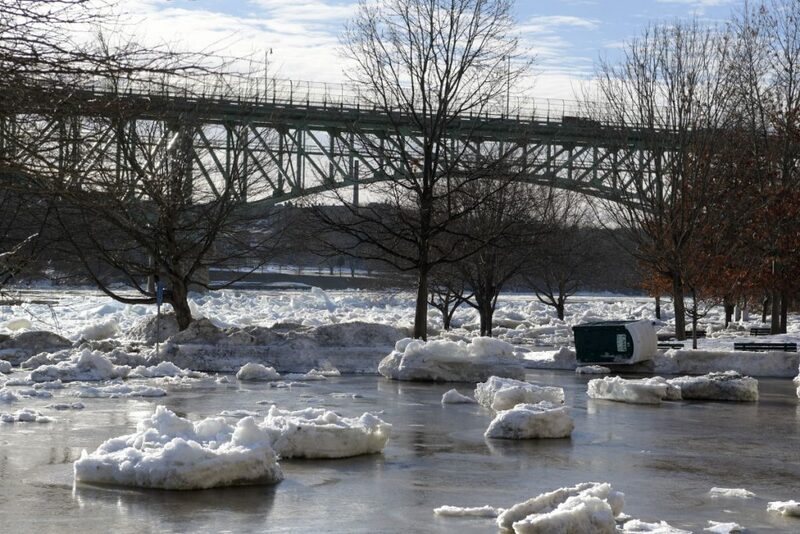 Nason said the area was in a flood watch, but there isn’t much anyone can do to predict an ice jam. Goodwin agreed and said there was no way anybody could’ve expected the ice jam that caused the flooding, and if someone could predict it, they should play the stock market. “I know the warning went out to our flood group Friday because I sent it,” Goodwin said. 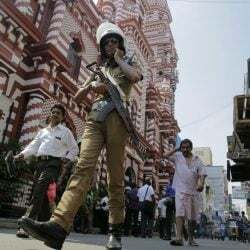 Nason said if the area had been under a flood warning, local authorities would’ve been proactive alerting residents and businesses to the looming danger. With a flood watch, people just need to be aware that conditions exist for potential flooding, which residents and business owners on Water Street would likely already be aware of. Owens, the Hallowell fire chief, said he lives in Farmingdale and didn’t see any flooding south of Hallowell. He said he was planning on doing a check of the river — starting in Farmingdale — later Sunday night. 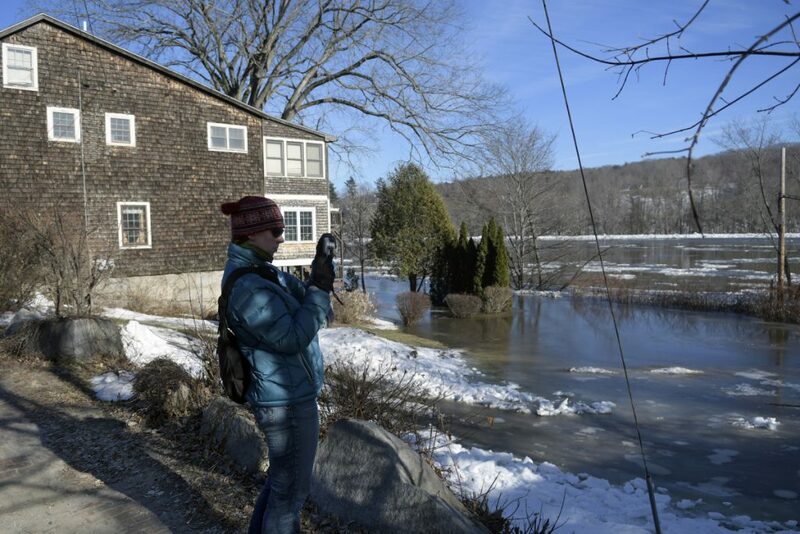 There were no reported injuries in Hallowell as a result of the flooding. In Augusta, the police department closed Front Street on Saturday afternoon anticipating potential flooding, and vehicles were moved from behind the buildings on Water Street, including two owned by people who were out of town that would’ve been lost had the police not towed them away. Sgt. 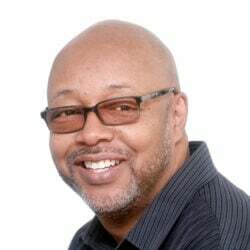 Chris Behr said the street will remain closed indefinitely until the water recedes and the public works department can clear the area and make it passable again. He said there haven’t been any injuries reported as a result of the flooding. 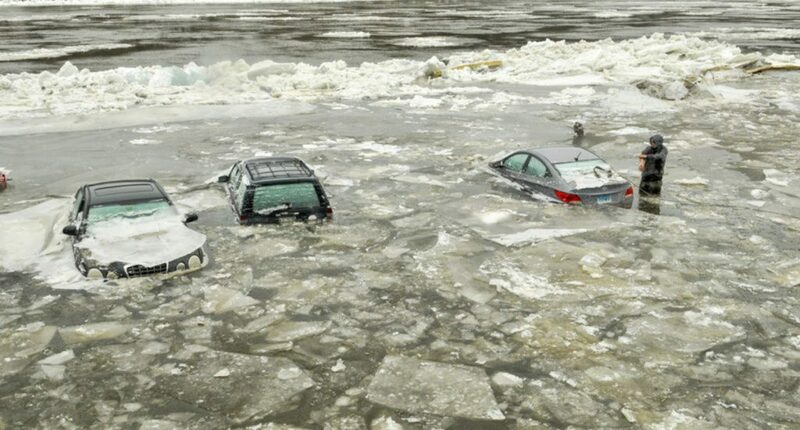 The police department posted pictures to its Facebook page taken overnight of large blocks of ice in the Kennebec River and water nearly submerging an unoccupied SUV parked near a building; as of Sunday afternoon, the vehicle had floated a bit and was frozen in a new spot adjacent to one of the buildings. Behr said the river in Augusta is at about 16 feet high, and flooding starts when the river reaches about 12 feet in height. He said the river is expected to run above flood level through Monday, and people should use extra caution around flood waters, especially when there is ice. Most businesses on the river side of Water Street are closed on Sundays, but Amber Hynes, the kitchen manager at Cushnoc Brewing Co., said the restaurant’s basement was spared because it sits a few feet above the street. She said while the lower parking lot is flooded and won’t be usable in the foreseeable future, there is enough free parking in downtown Augusta that business shouldn’t be affected. “I’m sure it was difficult for some of the other businesses (here), and we really feel for them,” Hynes said. Waterville Fire Capt. Shawn Esler said the fire department responded to a few flooding calls on Sunday, a day after various parts of the city saw significant flooding. 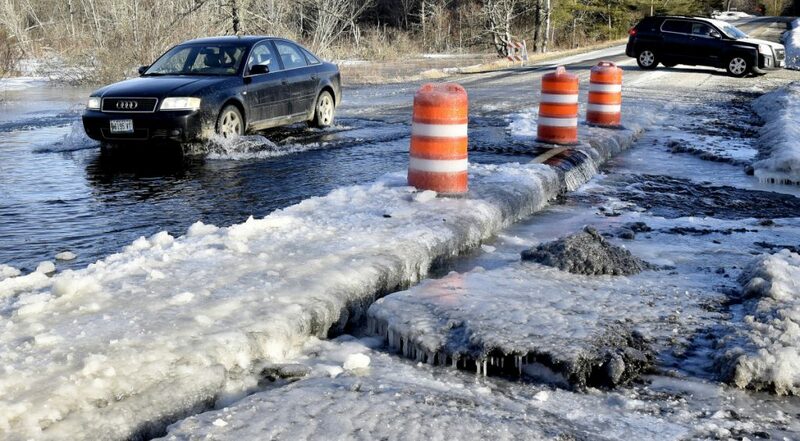 He said Grove Street had experienced flooding when a pipe began putting water out onto the street, which in turn created an ice dam in the middle of the road due to the cold temperature. Esler said this created some slippery conditions on the road, and public works had been made aware of it. 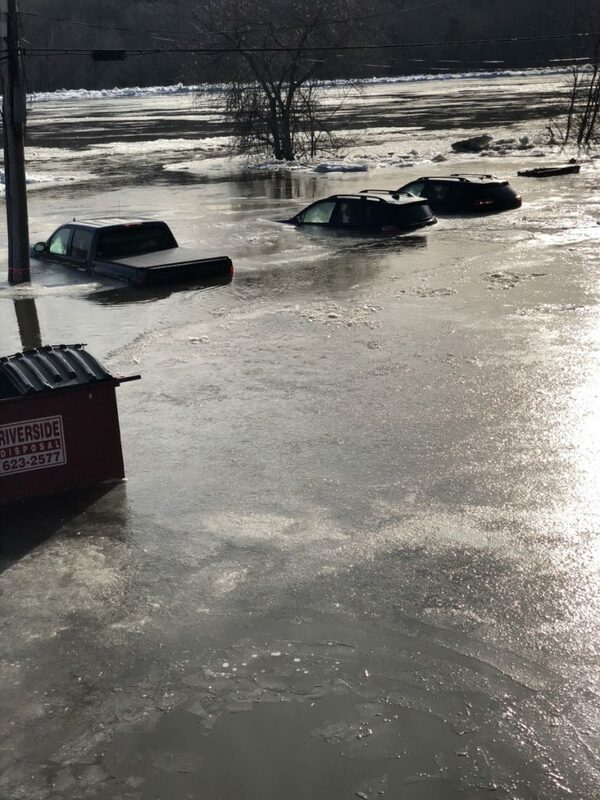 He said the town of Albion was also experiencing flooding problems, and had heard that town’s fire department had responded to 10 or 12 calls related to the flooding and rain storm from the weekend.